This summer we will start the sale of OpenBeam. We expect stock coming in a few weeks from now. Because of this we started the preparation for the arrival of stock. 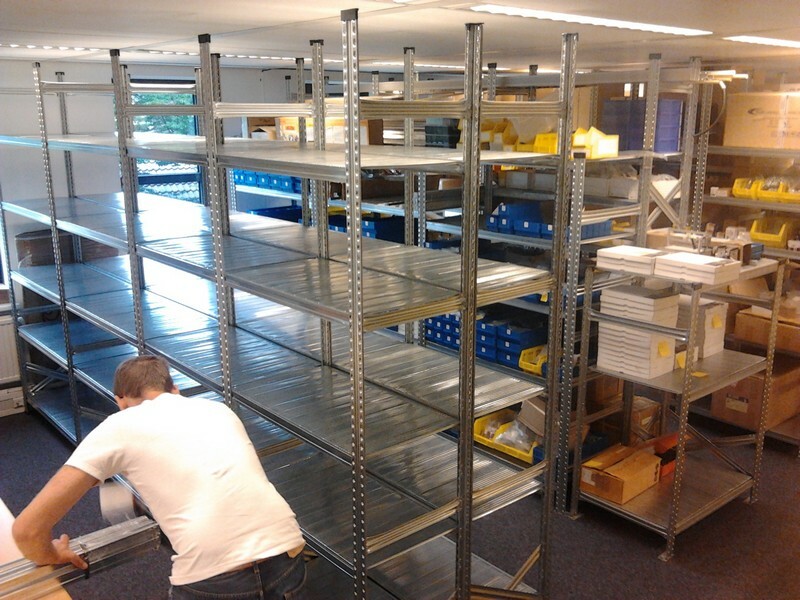 In our office we are working on freeing storage space, see picture below. Secondly we started to enter the OpenBeam products that will be available in our shop system. That is why when you search for OpenBeam you can find the products. Please do not order OpenBeam. We will not take backorders. The best we can do is register your email and send you a message once we have stock available. WE DO NOT SELL OPENBEAM YET!!! Drumroll please! We have some very exciting news to tell. MakerBeam and OpenBeam are working together to get OpenBeam available in Europe. 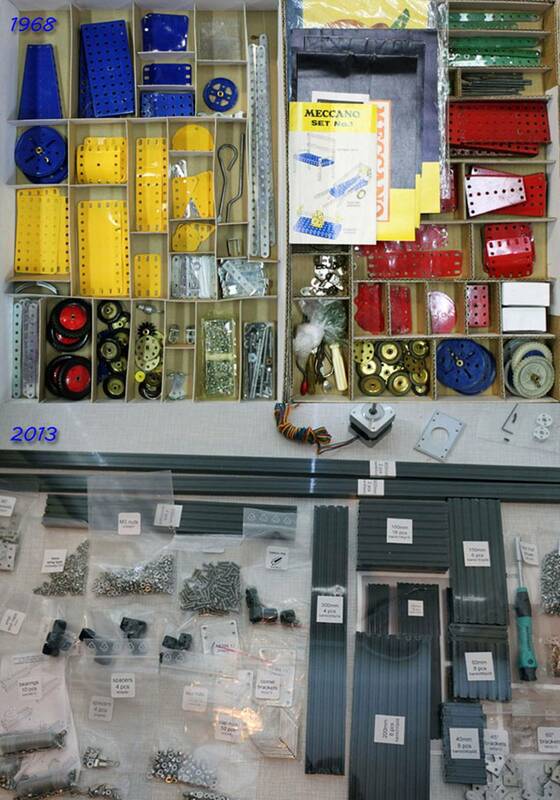 Open Source Hardware is good. United Open Source Hardware is better. What happened? As some of you might know OpenBeam had some serious production problems. Here is a blog post from OpenBeam published in March 2013. It was around that time we were ordering from OpenBeam feeling this Open Source Hardware should be available here in Europe. 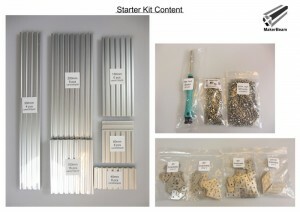 One thing led to another and now we are working with OpenBeamUSA.com on the new extrusion supplier, and we have reached a joint agreement to produce these extrusions. 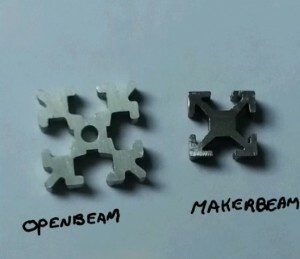 Under this arrangement, both MakerBeam.EU and OpenBeamUSA.com will be using the same extruder to manufacture the extrusions, and both companies committed to placing regularly timed orders together. OpenBeam is setting up MakerBeam.EU to become the de-facto lead importer of OpenBeam to the European Union region while keeping prices reasonable. So, for European OpenBeam friends, you will soon be able to buy OpenBeam at very reasonable prices. MakerBeam is smaller than OpenBeam. The diameter of the OpenBeam profile is 15mmx15mm. As you can see there are more differences between the profiles. It is the similarities though that made us want to start selling OpenBeam as well. Both profiles are under 20mm in size and Open Source Hardware. Companies that sell aluminum profiles usually draw the line at 20mm. 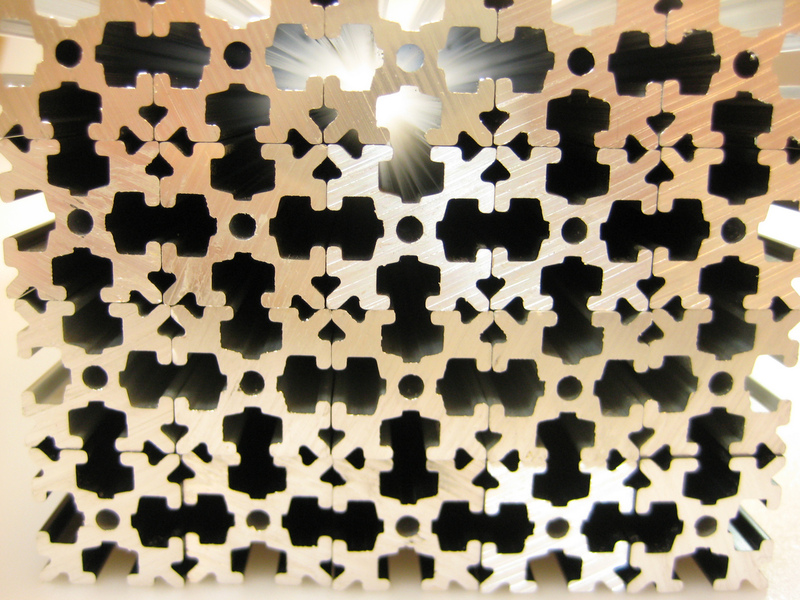 In taking OpenBeam on board we also made the decision to specialize in smaller sized aluminum extrusion profiles. Great for desktop size projects! 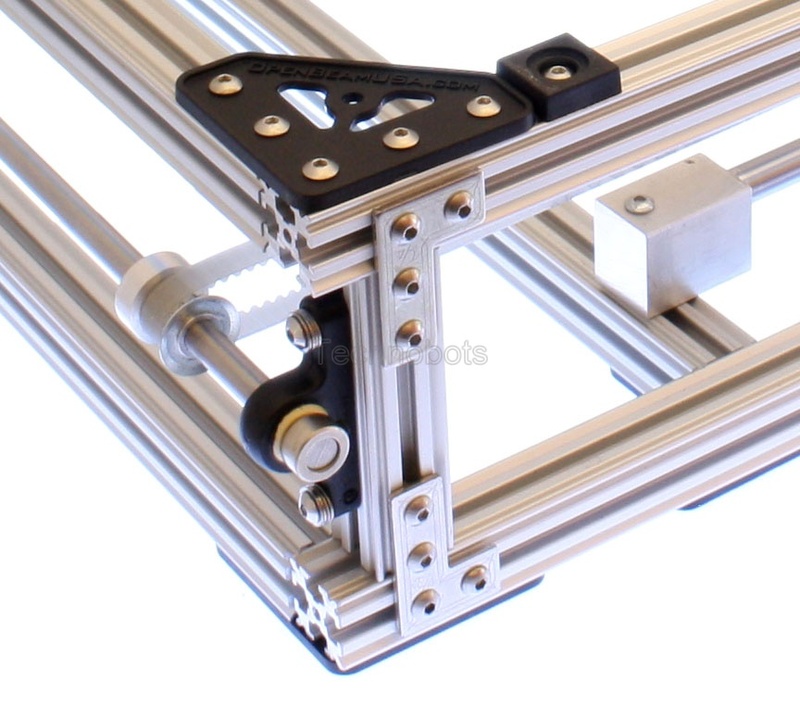 We are also happy that MakerBeam reseller Technobots has also started carrying the entire range of OpenBeam products. 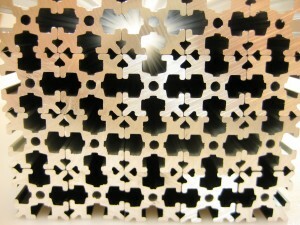 The picture shows MakerBeam brackets on OpenBeam beams. This is an exciting image. 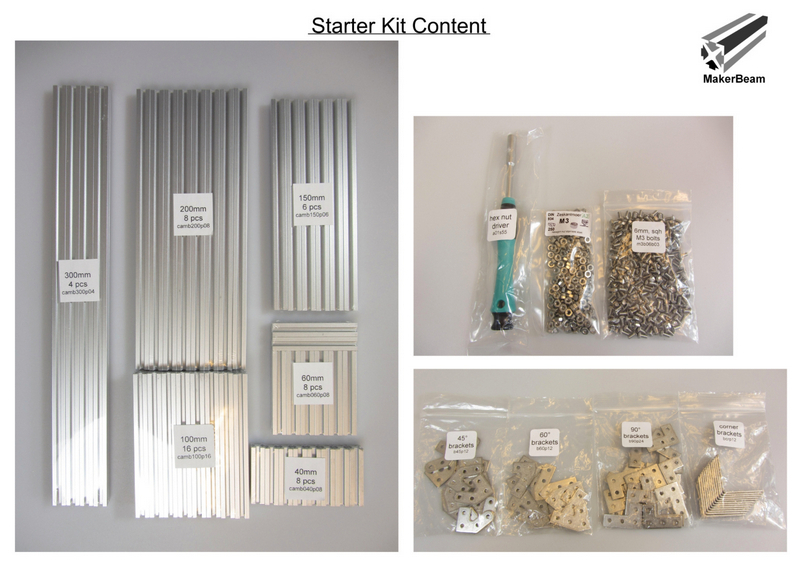 We are curious to see where the addition of OpenBeam to our product range will lead MakerBeam. Projects customers make never cease to amaze us but this will undoubtedly trigger combinations in designs we never thought of. 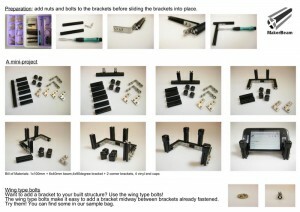 Also we feel there is room to think about additions to our product range that are designed for compatibility. We are growing and maturing as a comany and that is awesome! If you are interested in becoming a European reseller of OpenBeam, you can contact us directly. Shipping is something that benefits from economies of scale and by concentrating the orders this way we can amortize the freight across a much bigger shipment and get better pricing from our vendors due to the higher volumes. From the new extrusion supplier we received samples of OpenBeam. We were pleased with the quality and so was OpenBeam. This meant we could proceed with our plans. We both placed orders. It will take some time for the beams to arrive. This will probably be end of July 2013. We will keep you updated by message on our homepage. Stay tuned! Improvement of the MakerBeam starter kit is always on our wish list. We have several ideas, big and small. And three of those ideas now have been realised! We wanted to add a little extra to our kits. We thought of several ideas. Should we add a product to each order, should we order gifts with MakerBeam printed on it? We ended up combining this idea with another desire we had. We introduced quite a few new products in the past year. Somehow we should give customers a chance to try these, but how? 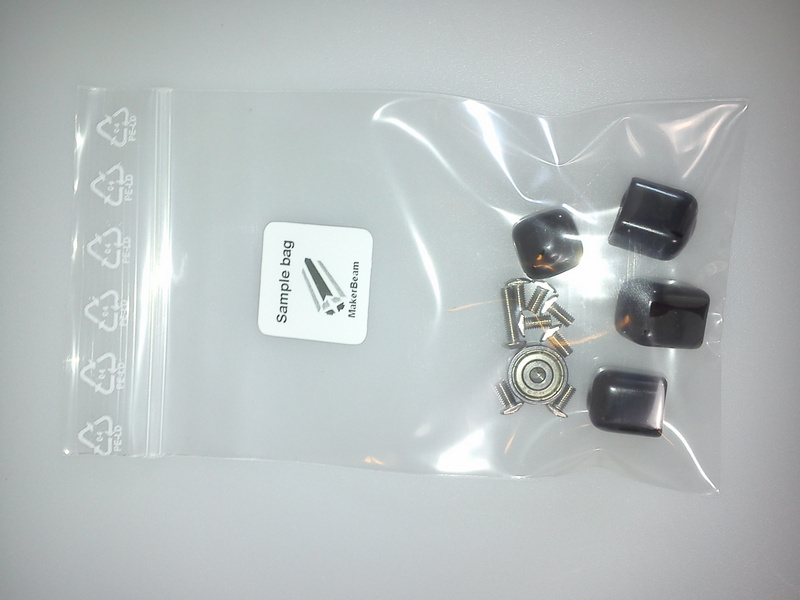 With the screws with the serrated head bottom we added bags with the specific question to please review the bolts. This led to the idea of a sample bag. The sample bag gives customers the change to try new products themselves and it fits the original idea of a surprise gift. Right now the sample bag looks as pictured below, but we are planning on changing the content from time to time. Surprise!! 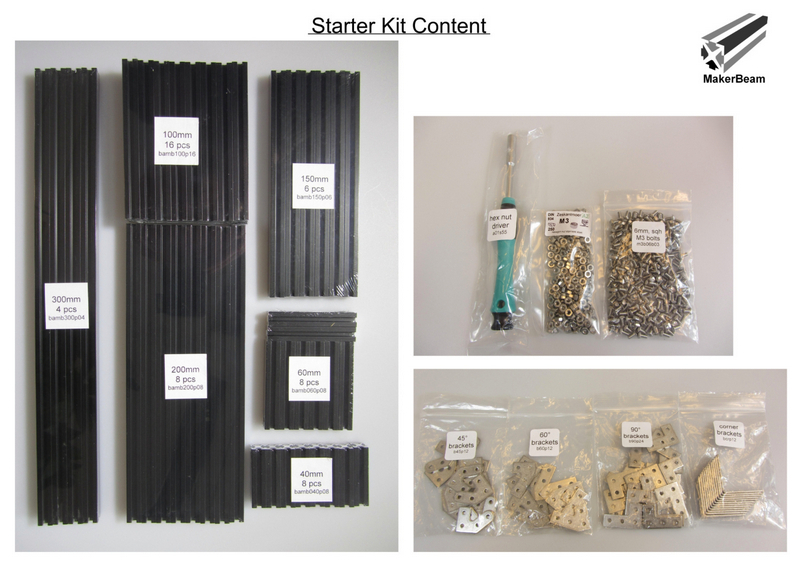 Every starter kit contains a content sheet and a sample bag from today on!